This particular Grac MT-14B which was sold new in 1972 to Greece. The car was prepared to race in 1973 in the National Hill-climb Championship and the Circuit Championship as well. 1973 Circuit Racing Greek National Champion (1st Overall). 1973 Hill-climb Greek National Champion (1st Overall). 1974 Hill-climb Greek National Champion (1st Overall). In 1976 the Grac was fitted with an Alfa Romeo 2.0 Litre Twin-Cam engine with 180 HP. In 1977 the car was purchased by the present owner who would keep it in his possession for over 40 years. Today the engine benefits from improved exhaust headers, carburator trumpets and improved cold-air intake, so power was raised to190+ BHP. 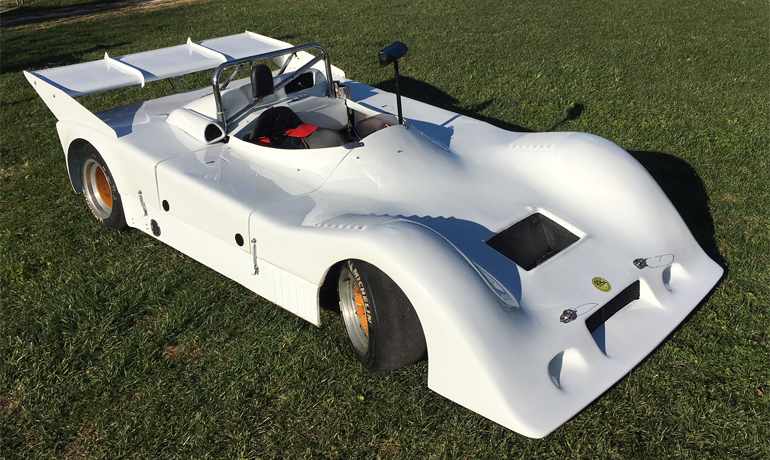 This Grac MT-14B is a “period everything” 1972-75 Sport Prototype with valid FIA HTP for Period HR (72-75) and FIA Class TSRC28, valid until 31.12.2026. The body-work was upgraded to GRD/TOJ specs (period upgrade) for improved aerodynamics. The car features a rare F1 Hewland FG-400 transmission complete with all ratios and CWPs, along with 3 sets of period rare Gotti split-rim wheels.